What do you have high hopes for places you visit? Answer depends upon us. Sokoiko Cycling Guide Tour provide variations of the tour according to your needs. “Story Route” is based on local perspective to visit history and culture taking root in the district. It’s not only visiting tourist spots but going around local secret places not in guidebook. The episode that handed down in the area and the history that has been passed down through the tour. “Custom Tour” is a completely private tour that we create the course according to your needs. 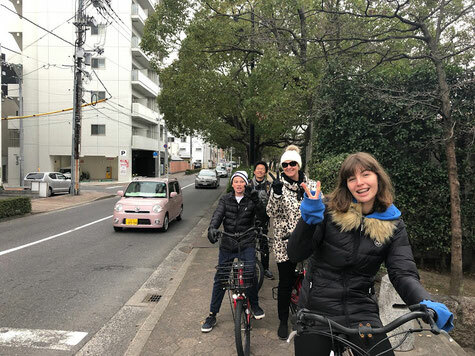 Please enjoy the tour with the hidden spots that only locals in Sumida know and secret spots which can only be reached by bicycle. “Sokoiko!” means “Let’s Go There! In Japanese. We provide an unforgettable and amazing memories for you!! On the tour, we visit not only the places developed as a touristic spot but go to experience the everyday life by bike. You can feel the real life and local history in the town. 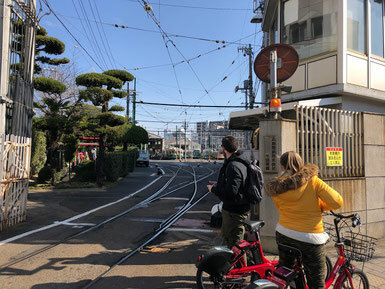 It’s a like trip to know what the Tokyo landscape what it used to be. ■Guide show you to the best places! Guide knows about the town inside out will show you episodes of the area, secret spot, and places not in the guidebook. You can also have communication with locals with guide who interprets. Have a good time! Your guide is very friendly! Cycle tour takes you to go through the beautiful scenery and side streets in the area. Stop by at somewhere you’re interested in to take pictures, drop by some shops to eat around, you can really feel how attractive the place is. 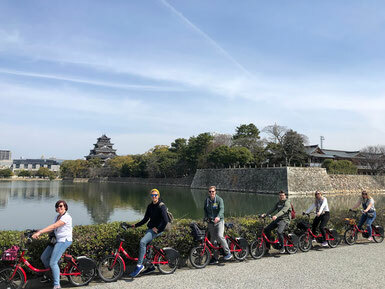 Sokoiko Tour use bicycles suitable for nice touring in the city. Have a nice cycling tour! !